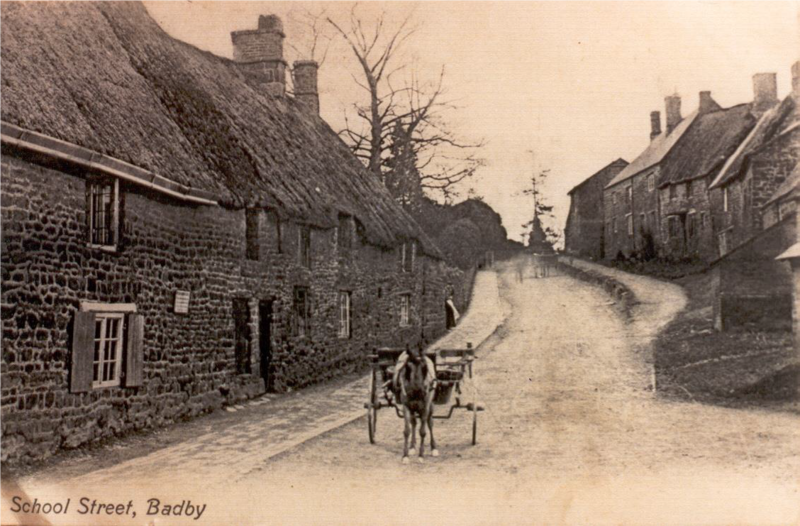 Many residents of Badby have contributed their memories to the History Group through discussions and interviews. Some of these are contained on other pages - Mary Hodges' recollections of running the Post Office, several farmers' stories of farming in the Badby area, and numerous contributions to the section on Schooling and Education. The sections below on Transport, Entertainment, Services and Employment were compiled from interviews with some long-time Badby residents - Janet Ingram, Olive Bourton, Joanne Hind and George Hartshorn. In addition we have memories of other residents - Maynard Green, Roy Barnett and Dr Malcom MacGregor - taken from published records. JANET INGRAM: Janet was born in Badby and lived on Vicarage Hill, Church Green and Main Street. Her mother was from a local family and her father was a Yorkshireman. Janet went to Badby school. After school, she worked at Stead & Simpsons in Daventry, until her marriage to Cyril from Woodford Halse. 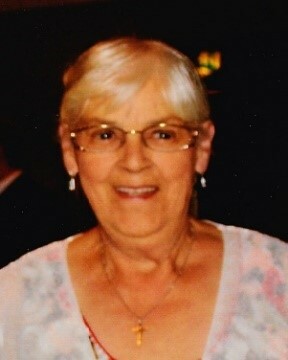 When her youngest son went to secondary school she worked at Dodford Nursery school for 15 years. She sees her 3 sons regularly, who live locally, being both a grandmother and a great grandmother. OLIVE BOURTON: Olive was born in Badby in 1922 at The Hollies, The Green. Her parents bought Park View and the land behind it up to Pound Lane in 1926. Olive went to school in Badby and then to the Grammar School in Daventry, paid for by her parents, After school, she worked at an accountant’s office in Daventry as book keeper for 40 years and continued to have private clients well into retirement. Olive married Gordon Bourton from Badby. Gordon's father ran the Windmill. Olive played hockey for the County and was Superintendent of St John's Ambulance Nursing Division. She now lives in Pound Lane. 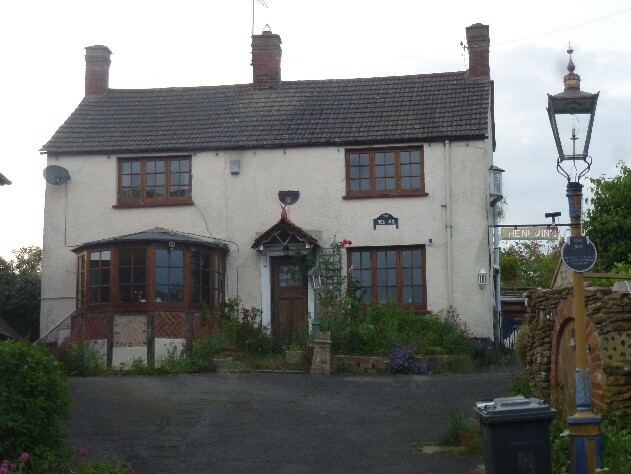 JOANNE HIND: Joanne’s father Dan Coles moved to Wayside, Main Street from Priors Marston in 1939 at the age of 11 and married Sylvia Goodwin in 1955. It was Dan who built Orchard Bungalow in the smallholding of Wayside in 1965. Wayside Bungalow had been built for Joanne’s great Aunt and Hope House was built there where a beautiful pear tree used to stand. 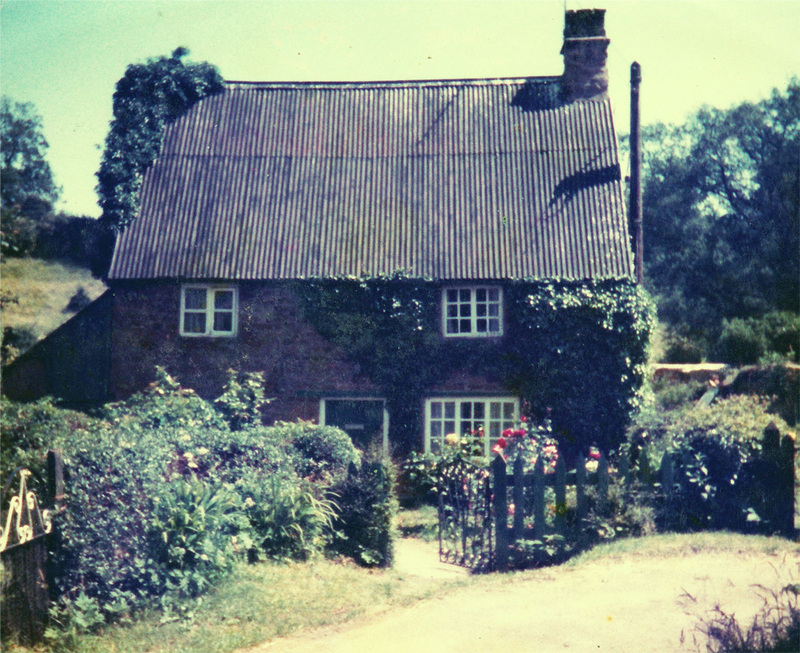 Joanne was born in Badby and lived at Japonica Cottage next to the Post Office until she was 3. She went to school in Badby and worked at The Maltsters as a cook and then joined Barclay’s Bank in Daventry, later working at other branches in the area. She now lives in Rosewood Cottage with her husband Gerald Hind and son George. The house has been lived in by members of her family since the 1600s. After their marriage in 1988 the couple took on the task of renovating and extending the cottage, moving in three years later. Their son George is the sixth generation to live there. Jo Hind grandparents & newspaper article? Before 1900 people worked locally and usually walked everywhere. Very few had a pony and trap. Horses were used for agricultural work and later some people had bicycles. In the 19th century ‘carriers’ used to travel to and from local towns regularly, using horse and carts and later there were regular and plentiful bus services taking people to work all over the area. Today buses run to Banbury and Daventry from Badby and to Northampton and Rugby from Daventry. There were very few cars before 1945. Motor bikes and side cars were popular at first. Now of course, most households own a car and many have two cars. It was possible to drive from Badby to the Dower House south of Badby Wood and Fawsley but this was stopped because people did not shut the gates. Northamptonshire Council changed the name of Clarke's Lane to Chapel Lane and many older villagers regretted that. Some people still refer to Clarke's Lane. Once, in living memory, the road in front of The Windmill Inn was part of the main street. 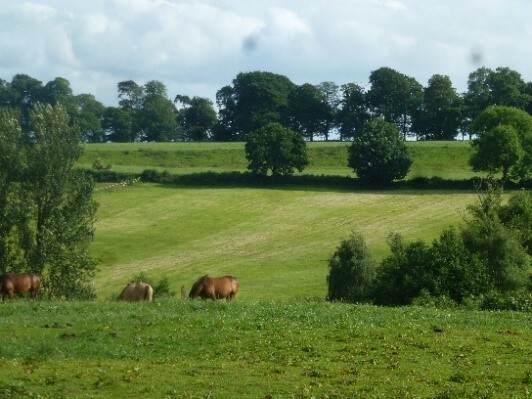 The ridge with an avenue of trees between Badby and Fawsley Hall is called The Race because races were run there in the time of the Knightley family. 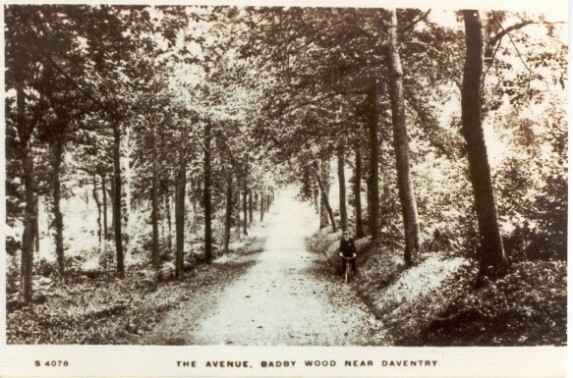 The last Lady Knightley had cherry trees planted on either side of the way through the archway into Badby Woods. It was called the Cherry Walk. During the 19th century the Reverend Green paid for paths to be made to the Church. In living memory Park Close was called Jones' fields and Church fields were where The Glebe is. Mr Fennel grazed his cattle there. He sometimes also grazed them on the village green. Some found entertainment outside the village. Olive Bourton remembers walking with her husband to the New Inn at Newnham to play "Tip it" with friends. They also took the bus to Daventry to the Cinema and walked home. Janet Ingram remembers riding pillion on her friend's bicycle with her hair in curlers to another friend's house in Newnham to 'posh up' before going to the dances. There was plenty to do in Badby too of course. As a child Janet and her friends made up their own games. One was called 'Rat a tat Ginger' - knocking on doors and running away. They spent many hours playing hide and seek and building dens in the woods. Joanne Hind and her village friends all had ponies. As children they were free to ride to all the local villages, staying away all day. Some people enjoyed unusual entertainments. Ian Adamson remembers being in a row of rifle men who liked to shoot birds including racing pigeons. Once one was hit and it landed right on its owner’s doorstep. Ian also remembers racing round the Glebe Field on a motorbike with his young friends. Sports facilities were available which have since gone. There was a cricket pitch and nets behind Park House and a tennis court where Park Close is now and two others, one at The Rectory and another on Bunkers Hill, where Whetherday's Garden Centre is now. The Cricket Club was very well attended not so long ago. The Parish Council minutes for 2007 says that over 50 children attended cricket practices. 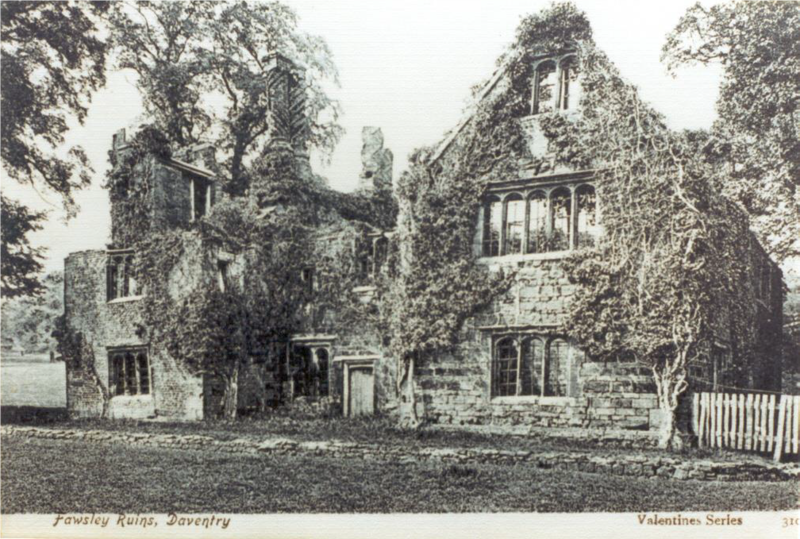 The Knightley family of Fawsley paid for the old Village School to be built in 1812 with its Hall which is now Badby’s Village Hall where people still meet today. There are still many clubs and societies such as WI, Tea and Meet, Film Society, Horticultural Society, Art Group, Tai Chi, Pilates and more. Badby is still a thriving community. Until 1904 most homes relied on their own well. A group of people drew up a plan for a water supply to the village. Water from a spring in the field beside Honey Lane was pumped up to a reservoir tank at the top of Church Hill by means of a windmill. The windmill blew down in 1947 after which, a Diesel engine was installed. Water was piped around the village to standpipes. Janet Ingram remembers collecting water for her mother after school and emptying the tin bath water onto Vicarage Hill. Mains water could be delivered to those who could afford to pay for it. 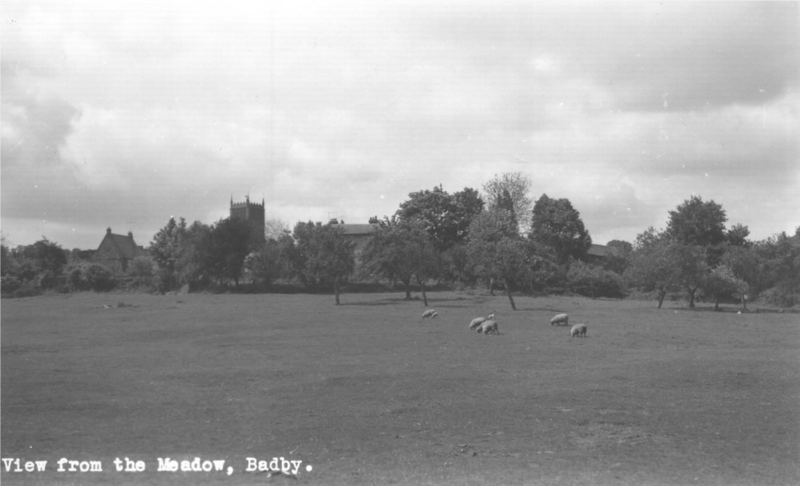 In about 1956 after Pitsford reservoir was built everyone in Badby had mains water. Until then, most households had a 'privie' in the back garden. Some were double seaters. There were chemical loos outside. Electricity arrived in the village in 1932. Some villagers paid to have electricity installed but others still relied on candles, oil and paraffin lamps until about the 1940s.The Old House had a bathroom installed in 1948. Most people cooked on kitchen ranges and had a kettle to heat their water. 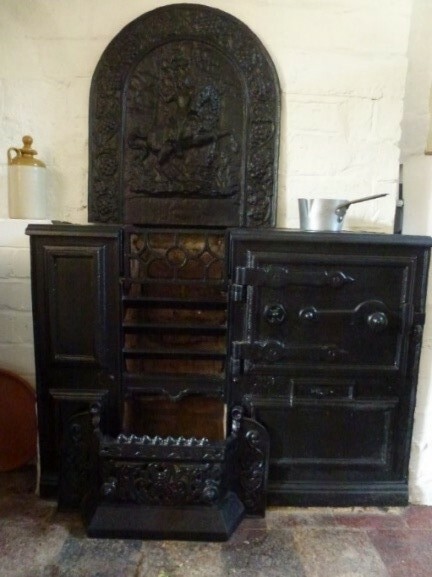 Later electric cookers were bought and gas was piped to the village in 1992. There used to be several shops in Badby including a chip shop and a variety of items could be bought at the Post Office. Now there is no shop in Badby, but we can have newspapers, fish, and vegetables delivered and order items using the internet. 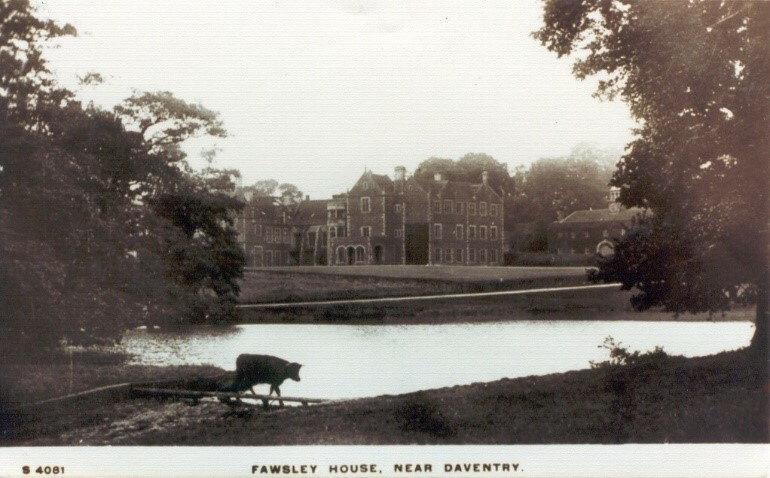 The Fawsley Estate provided work for local people in agriculture, domestic service and wood cutting and in Badby there was a brickmaking factory on Bunkers Hill which probably operated between the wars. 1840s: Janet Ingram’s great grandparents lived at “The Forge”. He was the blacksmith and his wife kept house. They had an orchard, grew vegetables, kept chickens and the occasional pig and were self-sufficient. 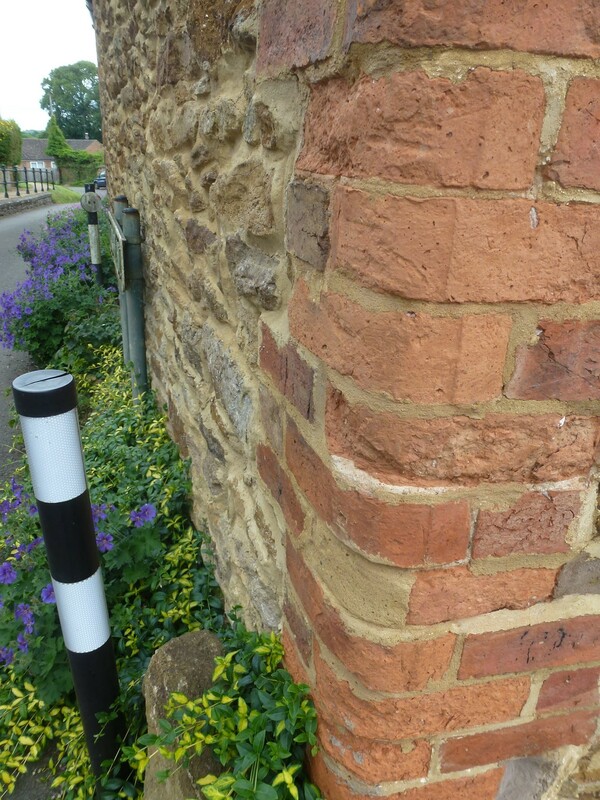 1870s: Janet’s grandfather worked on the railway at Woodford Halse and her grandmother looked after the family. 1920s and 1930s: Her father was a railway examiner at Woodford Halse. Her mother worked at Fawsley Hall and then went on to work at a private house in Northampton to 'live in' doing domestic work. After her marriage, she worked occasionally in local houses. 1960s: Janet’s husband worked on the railway at Woodford Halse, Hartshorn Flooring and then at Olney Prison and Janet went to Daventry to work at Stead and Simpson shoe factory. 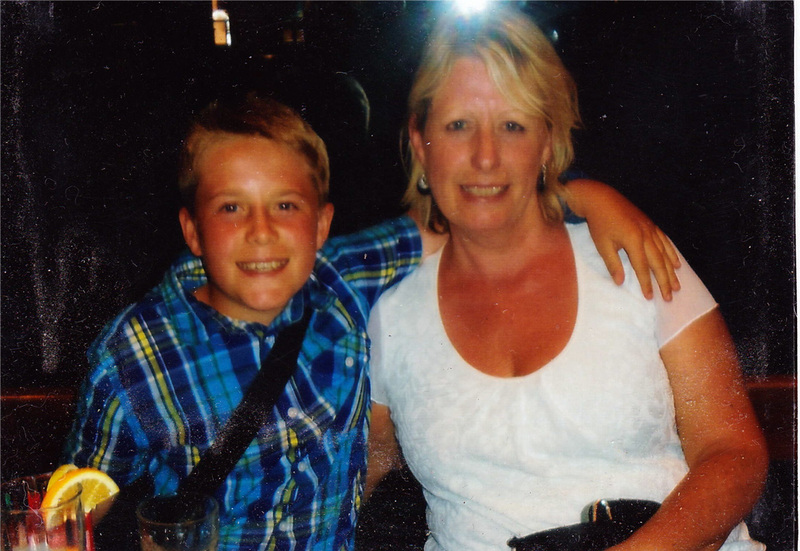 When her youngest son was 11 she was employed at Dodford Nursery School. 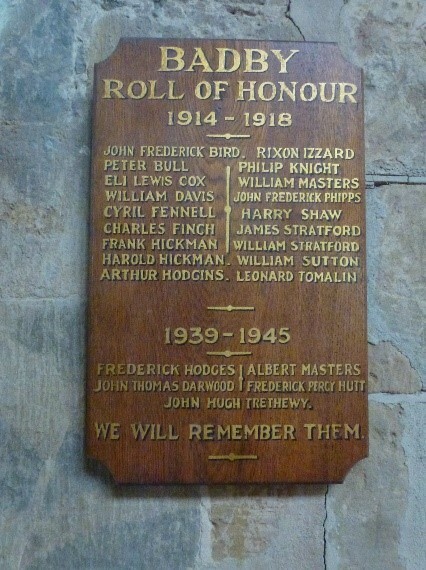 1920s: Her grandfather was a sign writer and he made the War Memorial plaque which is in the church. 1950s: Her father worked at Church Hill Farm for Mr Phillips and later for Stan Hartshorn of The Old House Badby at Hartshorn Flooring Company in Badby. Joanne’s mother was a seamstress and later worked at “The Windmill” in Badby. 1980s: Joanne worked at “The Maltsters”. She then went to work for Barclay's Bank in Daventry and later in Northampton and other branches in the region. Olive Bourton was born in 1922. She started nursing training, however, later she went into an accountant's office in Daventry where she became a bookkeeper. She stayed for forty years and continued to have clients well into retirement. Her husband, Gordon, started work at BTH Rugby followed by Armstrong Siddeley at Coventry. His last job before retiring was at Ford in Daventry. Local employment gradually became less local from 1800, but now some home-based employment takes place via the internet. 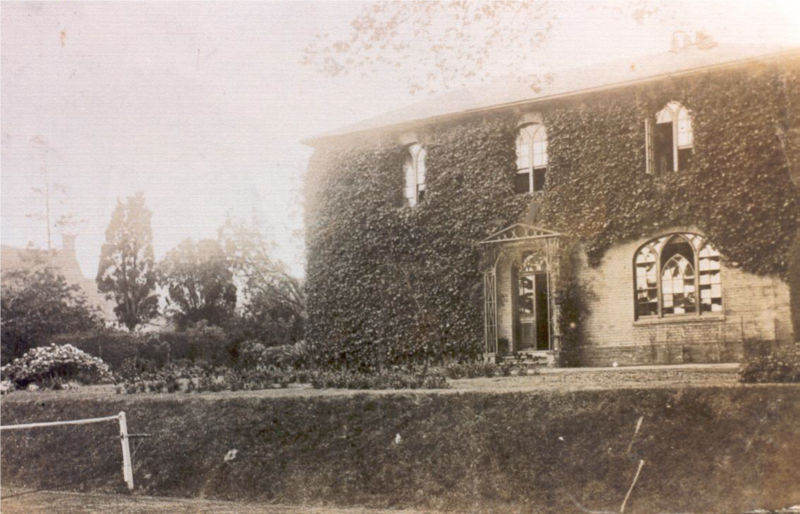 I first came to Badby in 1911 when my parents purchased Park House – I cannot remember anything about the actual move, as I was only 2 years old. Mrs Ingram refers to army manoeuvre. I am going to take you back to 1913 when other manoeuvres were held around Badby & Fawsley. My mother was very ill at the time, but her bed was moved nearer to the window so that she could see King George V and Queen Mary drive through the village in an open carriage. Firstly, I remember with sorrow the pages and pages of casualties published in the Daily Telegraph every day. Thinking about it makes me realise the futility of war – the millions of men killed or wounded merely to satisfy the greed of mankind. Secondly, I remember the bombing of Northampton – One window in Park House faces directly down the Nene Valley and I could see; caught in the searchlights, the Zeppelin dropping its bombs. Thirdly, I recall that we had a captain and his batman living with us, the rest of the platoon billeted in other houses. The thing that rally sticks in my mind is the punishment imposed upon a soldier who had done something wrong – he was bound, spread-eagled to the wheel of a gun carriage for a whole day on the Green in front of Park View. During WW2 the Army held manoeuvres on the ridge behind Fawsley Hall. A Vickers anti-aircraft gun was used for training, aiming at aerial targets on their way to bomb Coventry. Concrete ramps were constructed to stand tanks on for repairs, There were also trenches for rifle practice. Fawsley Hall had soldiers billeted there. It is said that there existed then, a secret tunnel (now long since forgotten and lost) running between the church at Fawsley and Fawsley Hall. This tunnel was used as a means of sneaking back to the billet after lights out, by the soldiers, who had been imbibing in The Windmill or The Maltsters in Badby. Another unsubstantiated story survives, telling of a tragic accident occurring at Fawsley Hall. Apparently the billeted soldiers were from a Tank Regiment. They received delivery of a new proto-type of tank, which they had no knowledge of its working. So a young soldier attempted to learn to drive it. He lost control and it careered into the Horse Pond Lake, tragically the soldier drowned. In 1986 Roy Barnett saw a Newsflash of children dying of diarrhoea across the world. He heard it could be remedied with a mixture of salt, sugar and potassium in a sachet costing 5p. He started collecting 5p coins from the Chapel congregation in Badby and continued to spread the idea, calling it “The MITE Foundation”. Every 5p being spent on the medicine. UNICEF eventually took on the work and three and a quarter million children's lives have been saved. He was awarded the MBE at Buckingham Palace in 2003. He died in 2014 aged 93. In January 2001, on his 80th birthday, Roy gave a talk to Badby School about his childhood and school days; extracts from his talk are included on the Schooling page.